Trend Micro Worry-Free Business Security (WFBS) protects small business users and assets from data theft, identity theft, risky websites, and spam (Advanced only). This document provides information for both WFBS Standard and Advanced. Sections and chapters relevant to the Advanced version only are marked as “(Advanced only)”. Safer: Stops viruses, spyware, spam (Advanced only), and web threats from reaching clients. URL filtering blocks access to risky websites and helps improve user productivity. Smarter: Fast scans and continuous updates prevent new threats, with minimal impact to clients. Simpler: Easy to deploy and requiring zero administration, WFBS detects threats more effectively so that you can focus on business instead of security. File Reputation Services checks the reputation of each file against an extensive in-the-cloud database. Since the malware information is stored in the cloud, it is available instantly to all users. High performance content delivery networks and local caching servers ensure minimum latency during the checking process. The cloud-client architecture offers more immediate protection and eliminates the burden of pattern deployment besides significantly reducing the overall client footprint. Security Agents must be in smart scan mode to use File Reputation Services. These agents are referred to as smart scan agents in this document. Agents that are not in smart scan mode do not use File Reputation Services and are called conventional scan agents. 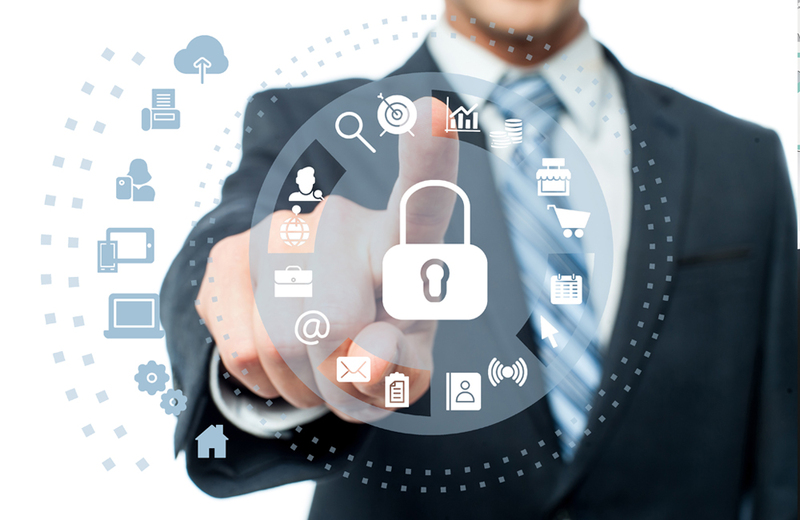 Worry-Free Business Security administrators can configure all or several agents to be in smart scan mode. With one of the largest domain-reputation databases in the world, Trend Micro web reputation technology tracks the credibility of web domains by assigning a reputation score based on factors such as a website’s age, historical location changes and indications of suspicious activities discovered through malware behavior analysis. Web reputation then continues to scan sites and block users from accessing infected ones. Web reputation features help ensure that the pages that users access are safe and free from web threats, such as malware, spyware, and phishing scams that are designed to trick users into providing personal information. To increase accuracy and reduce false positives, Trend Micro Web reputation technology assigns reputation scores to specific pages or links within sites instead of classifying or blocking entire sites, since often, only portions of legitimate sites are hacked and reputations can change dynamically over time. Agents subject to web reputation policies use Web Reputation Services. Worry-Free Business Security administrators can subject all or several agents to web reputation policies. Trend Micro email reputation technology validates IP addresses by checking them against a reputation database of known spam sources and by using a dynamic service that can assess email sender reputation in real time. Reputation ratings are refined through continuous analysis of the IP addresses’ “behavior,” scope of activity and prior history. Malicious emails are blocked in the cloud based on the sender’s IP address, preventing threats such as zombies or botnets from reaching the network or the user’s PC. Email Reputation technology identifies spam based on the reputation of the originating Mail Transport Agent (MTA). This off-loads the task from the Security Server. With Email Reputation enabled, all inbound SMTP traffic is checked by the IP databases to see whether the originating IP address is clean or has been black-listed as a known spam vector. – Standard: The Standard service uses a database that tracks the reputation of about two billion IP addresses. IP addresses that have been consistently associated with the delivery of spam messages are added to the database and rarely removed. – Advanced: The Advanced service level is a DNS, query-based service like the Standard service. At the core of this service is the standard reputation database, along with the dynamic reputation, real-time database that blocks messages from known and suspected sources of spam. When an email message from a blocked or a suspected IP address is found, Email Reputation Services (ERS) stops it before it reaches your messaging infrastructure. If ERS blocks email messages from an IP address you feel is safe, add that IP address to the Approved IP Address list. Trend Micro Smart Feedback provides continuous communication between Trend Micro products and its 24/7 threat research centers and technologies. Each new threat identified through every single customer’s routine reputation check automatically updates all Trend Micro threat databases, blocking any subsequent customer encounters of a given threat. By continuously processing the threat intelligence gathered through its extensive global network of customers and partners, Trend Micro delivers automatic, real-time protection against the latest threats and provides “better together” security, much like an automated neighborhood watch that involves the community in the protection of others. Because the gathered threat information is based on the reputation of the communication source, not on the content of the specific communication, the privacy of a customer’s personal or business information is always protected. URL filtering helps you control access to websites to reduce unproductive employee time, decrease Internet bandwidth usage, and create a safer Internet environment. You can choose a level of URL filtering protection or customize which types of Web sites you want to screen.